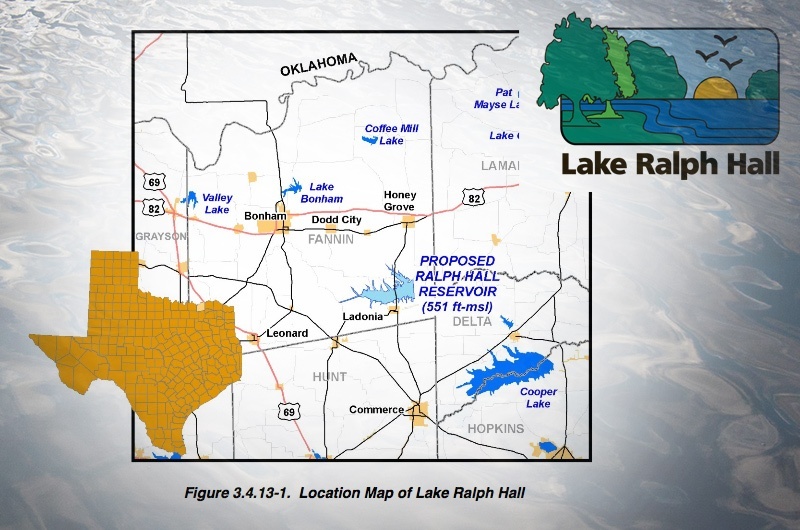 I saw a report on local news about a recently approved (I’m sure there will be more approvals needed) reservoir that taps into the Trinity River system, and according to the report is about 80 miles northeast of Lewisville Lake. The local network helicopter flew over a lot of flat land, showing no homes, squared hedgerows, and a long wide and dry riverbed. Yes, a river runs through it. The only problem is there’s no water in it. They were interviewing a Flower Mound official who was complaining about the whole mess, and the fact that this municipal water district will tap Flower Mound’s customers with price increases (along with other cities) to pay for the project. That’s a $400-million tab on a lake fed by a river that isn’t flowing. FEEL FREE TO THINK. The talking head for the water district is quoting projections for population growth out to the year 2060, and the demand of those thirsty souls. The backward thinking is right there. Instead of addressing demand, these guys are dead set on increasing supply … by getting water from stone. Demand, demand DEMAND! Demand for water has to be reduced – even with huge population growth in Denton County. It can be done. How? Well, what are you paying at the gas pump right now? Is your demand up or down? Are you in the market for a gas guzzler, or a gas saver? This is simple stuff. I won’t event begin a rant on population growth predictions run out to 2060! As our local resources dwindle, do you think people will continue to come to an arid wasteland that continues to get hotter every year? There are plenty of futurists talking about a great northern migration to come here in the USA, and I for one, believe in that model’s accuracy. Who among us would like to live somewhere cooler? There aren’t really any great maps but here is a link to Ralph Hall Reservoir map. With 26 of these on the board, and zero knowledgeable fly fishing environmentalists talking about this (and I’m not one (knowledgeable environmentalist that is)), I wonder 1) when are we going to have a voice to counter this stupidity, and 2) who is organizing rational, educated response to this? One must assume that these municipal water districts are seeing dollar signs, and new reservoirs as money machines. And they see a time when water is the new oil. If you think this effort is to keep prices low, I want some of what you’re smoking. Don’t get me wrong, if we were swimming in water, and the ambient temperatures and rainfall were steady to twenty-five or thirty years ago, then build more reservoirs. Sure, we have rainy years now and then. Remember when the water ran over the spillway at Denison Dam? That wasn’t so long ago. I think these are essentially “Oreo Events,” that is thinly sandwiched between long, typically arid years. And what do we do when the lakes fill up, the dams are open, and fish are finally coming out our ears? WE FISH! All the discussions about conservation, reservoirs, water policy and politics get put on the back burner to simmer and wait for the next drought event. One probability Texas is faced with, in the near future, is a quantum shift in the State’s political power base – from Republican to Democrat. I wonder though … will Texas Democrats look just like Texas Republicans when they take power? Who can tell the difference between the two on the national political scene nowadays? Please let me know if there’s anyone representing any other opinion publicly, other than the State’s or the municipal water districts point of view. There must be.